Local Government Minister Punjab Navjot Singh Sidhu today said that the Congress party would soon formulate a youth policy to give wings to the aspirations of youth after detailed deliberations with them.Interacting with the media persons here on the sidelines of ‘Soch se Soch ki ladai’ program organized by the Indian Youth Congress here today, the Minister said that for the fist such a unique initiative has been taken by the Congress party under the leadership of the President Mr. Rahul Gandhi when youth have been provided an opportunity to express their views regarding their aspirations. He said that this was a revolutionary step that would ensure that youth were able to transform their fortunes. Mr. Sidhu said that it was unique in the sense that it provides a platform dedicated to youth and his aspirations.The Minister said that this was an apolitical program that would ensure that the aspirations of the youth were cherished. He said that this policy would be reflection of the feelings nurtured by the youth of the state and country. Mr. Sidhu said that the time was high when youth was asked about what he wants in term of education, job opportunities and others. Expressing serious concern over the brain drain in the country in general and Punjab in particular, he Minister said that it must be checked. He said that it was a very dismissal scenario when the hard working and resilient youth of country was leaving his country ion search of better avenues broad. Mr. Sidhu said that this trend needs to be reversed for which the upcoming policy, which would be formulated in dialogue with the youth, would play an important role.The Minister said that the policy would largely focus on inspiring the youth of the state to play a larger role for socio-economic development of the state. He said that the unbounded energy of the youth would be channelized in positive direction through this policy so that they were made partners in growth and prosperity of the country. 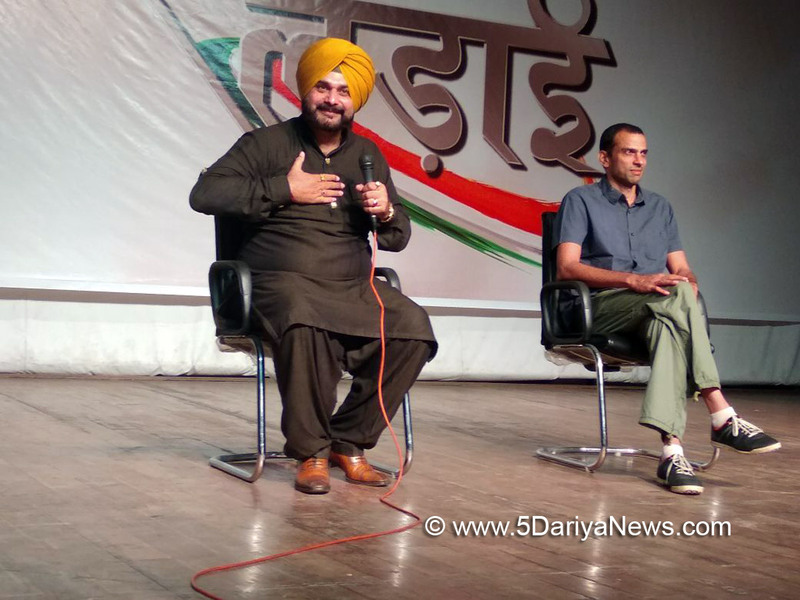 Mr. Sidhu said that this communication and policy was must for enabling the youth to get a new direction to the youth. Asked to comment on the tug of war between the leaders of Aam Aadmi Party, the Minister said that the party has fallen like a house of cards. He said that every leader in AAP was pursuing his own individual agenda and the Congress party was least bothered about it. Earlier, MLAs Mr. Rajinder Beri and Mr. Hardev Singh Laddi Sherowalia, the President of All India Youth Congress Mr. Keshav Chandra, General Secretary Mr. Krishna Allavaru, President of Punjab Youth Congress Mr. Amanpreet Singh Lally and President of Jalandhar Youth Congress Mr. Ashwin Bhalla welcomed the Minister.